Divorce is stressful enough. Work alongside an expert attorney-mediator to get control. If you are concerned, worried, or confused by the process, look no further. With our easy but professional approach, you can be done sooner than you think. We will prepare and file the Petition and Response for the divorce or legal separation for you. These papers start your divorce case. You will meet with the attorney-mediator and your spouse in working sessions. The attorney-mediator will help you understand the law and provide you options for property division, parenting and child and spousal support. Using that information, the attorney-mediator will guide you to an agreement. For every divorce and legal separation, you must exchange and complete financial disclosures. We will guide you through them so they are exchanged and done correctly. We will put your agreements together in a final agreement, known as an MSA. We submit this to court to become your divorce judgment. See what we've been able to do for others like you. "Dina is the type of calm, smart & resolution-oriented person you want if you are looking to settle your divorce…The (divorce) world needs more Dina’s!" Dina brings a refreshing perspective to the often difficult process of divorce…Dina & the staff at Family First Mediation provide a unique and healthy environment to allow couples to resolve their differences in an amicable way. I encourage you to seek a consultation with Dina as early in the process as you can! I had the pleasure of working with Ms. Haddad in the past, witnessing first hand her high level of professionalism and passion for her work. Ms. Haddad is charismatic, thorough, diligent, and truly goes the extra mile for her clients. Ms. Haddad is extremely well-versed in a variety of family law areas and I highly recommend her counsel. I cannot think of a more dedicated individual to the field. Divorce Mediation is proven as the most effective approach for divorce. You stay in control of your divorce case and you make the decisions for you and your family, not a judge or lawyer. You also save money, paying for one impartial professional rather than multiple professionals with differing goals. Also, mediation takes far less time than any of the other available options. We believe anyone can successfully mediate their divorce or legal separation. In fact, statistics show children do much better when parents mediate. We provide a customized process that allows couples to move quickly and successfully through their divorce process. We provide the legal knowledge you need to make the right decisions for you and your family. We take the complexity of divorce and make it simple. We also offer mediation sessions via video conferencing such as Skype or Google Plus. This is helpful for couples who have already separated and live in different areas. At Families First Mediation, we understand that it is often difficult that both parties agree to mediate. Sometimes all it takes is a little coaching of one party to help explain the benefits of mediation to the other. We don’t want the party who is willing to mediate to lose out on the benefits of mediation. That’s why we offer a strategy session. 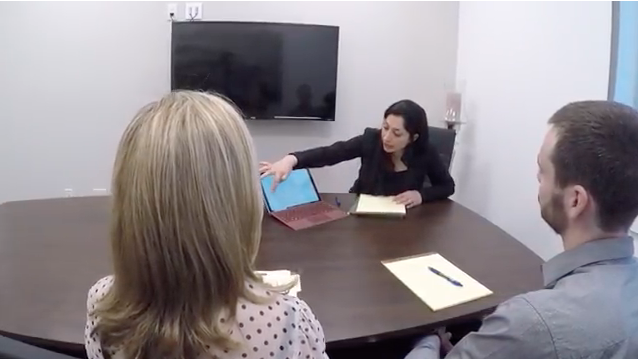 In our Strategy Session, you meet with one of our mediators to work through the specifics of your case, and answer your most pressing questions. You might feel more empowered and educated to bring your spouse to the mediation, or these answers will help guide you through your divorce or custody battle without the unnecessary stress and costs. You can also benefit from a Strategy Session if you are using another mediator, but need the assistance of an attorney. If so, you might retain Families First Mediation to assist you through the mediation. A lawyer will help you prepare for mediation, guide you during the process, and review any agreements made in mediation.